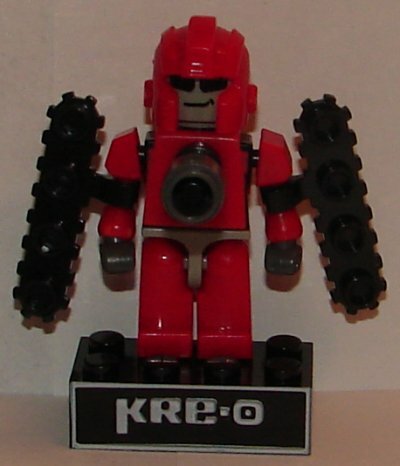 Here are my previous reviews of the 2011 and 2012 Kre-O sets, Micro-Changers Preview Series, and the Toys R Us exclusive Ironhide. 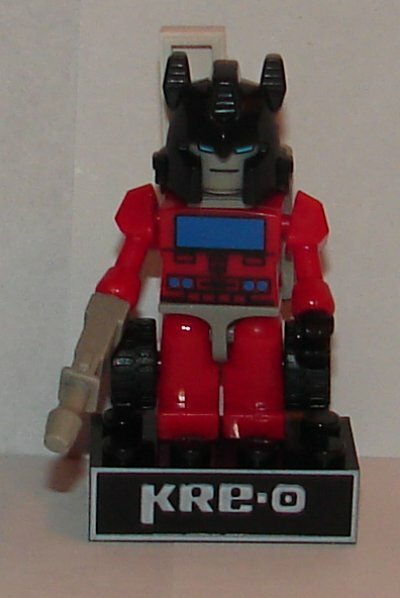 Inferno’s robot mode is really nice, but his vehicle mode isn’t great even for a Kre-O. 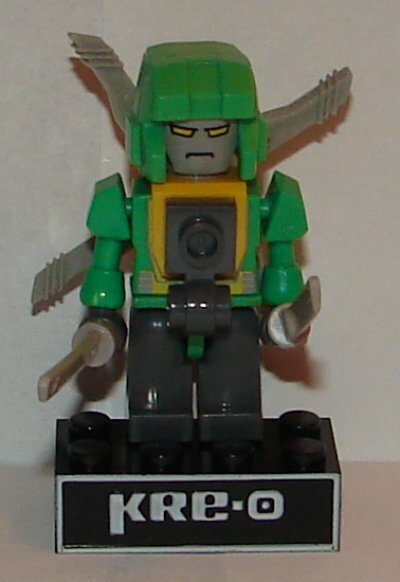 Springer’s robot mode suffers from a typical Micro-Changer problem where a part covers the art on his torso. 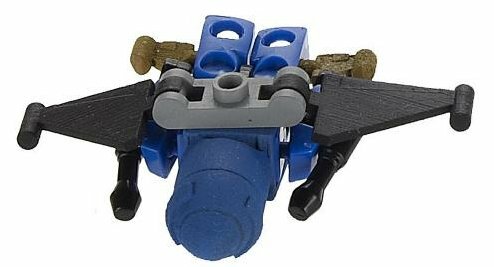 It really is mystifying that Hasbro couldn’t mold a piece that had nothing on the front and the peg for the rotors on the back. A few toys are done that way. 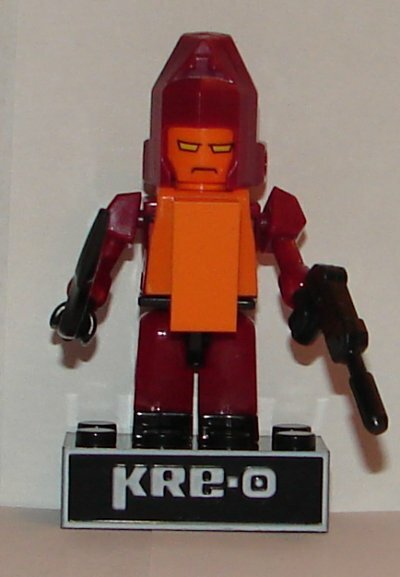 If they couldn’t do that, then at least do that part in clear plastic and don’t put the extra part on his chest. 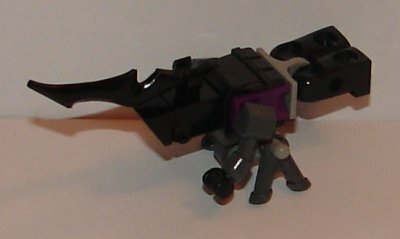 Most of these guys have extra parts in at least one if not both modes, so it’s not like having another extra part would have been a big problem. 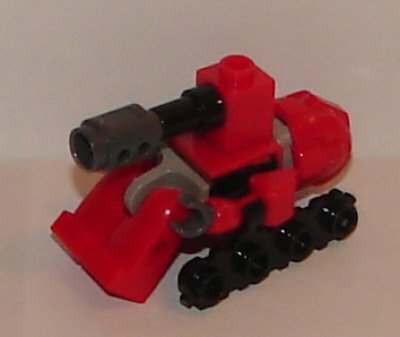 Warpath actually has a decent vehicle mode. They did a nice job on the robot too. While the art on his torso is covered, the cannon makes up for that. 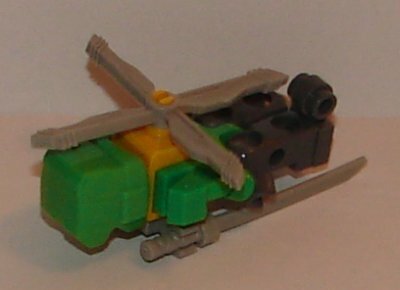 Quickslinger is meant to be Slingshot from the Aerialbots. 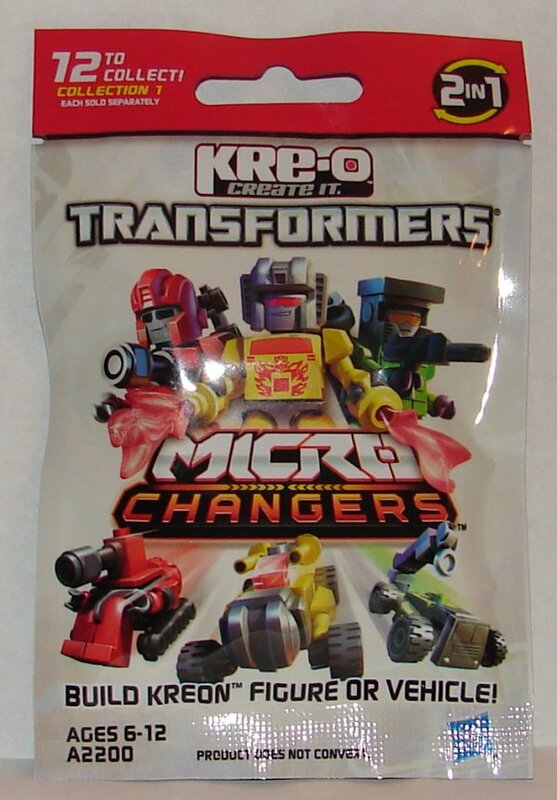 I didn’t notice this myself, but a friend of mine pointed out that the upcoming Micro-Changer combiner four packs each have the fifth member of the team in this series. 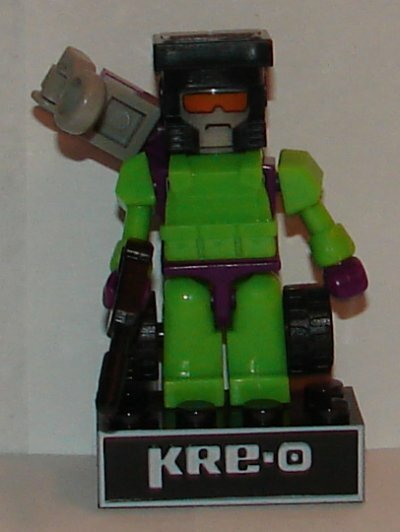 (The Constructicons set is still missing Long Haul.) 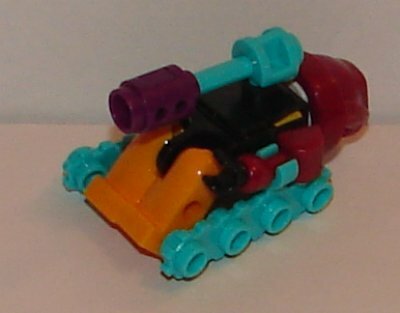 Quickslinger looks pretty cool in both modes and as soon as I saw him, the color mad it obvious he was supposed to be Slingshot. 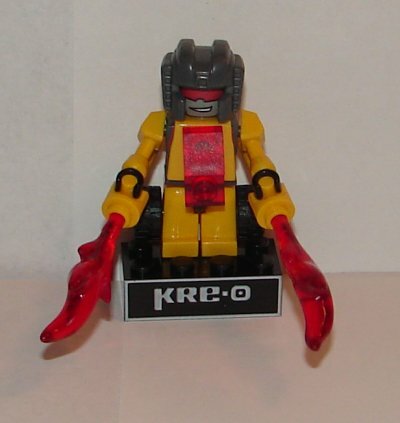 The fifth Predacon, Rampage, looks pretty great in robot mode. 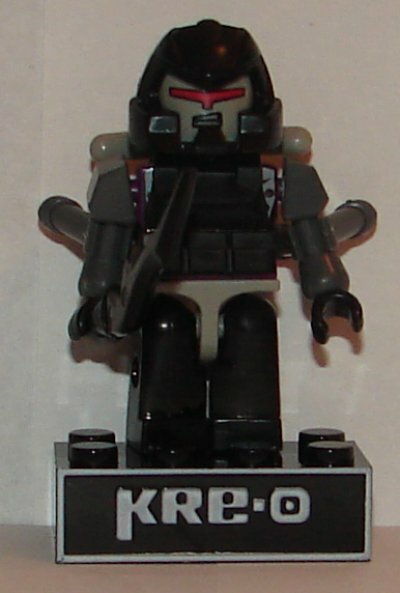 They even included two guns and a sword, as the original G1 toy came with. His bull mode looks a bit too much like a person bent over on all fours, but since that’s exactly what it is, it’s passable. He, like so many others, has the art on his torso covered up. 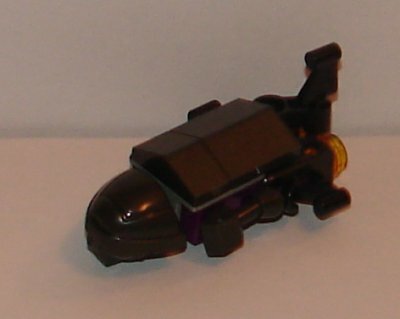 Insecticon doesn’t really look much like any of the Insecticons. 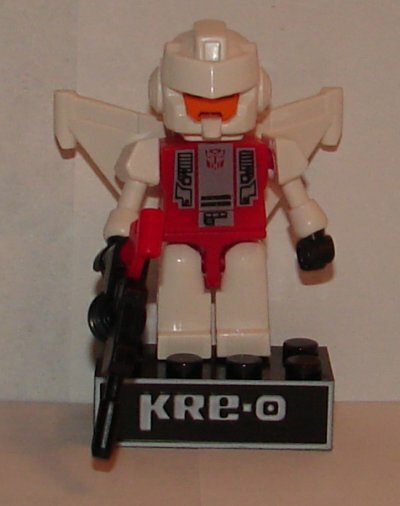 He has the problem in robot mode of the art on his torso being covered. Not bad looking overall though. The fifth Combaticon is one of the best toys in this series. 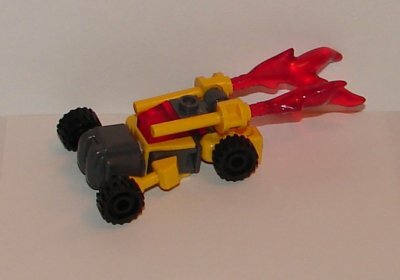 Blastoff looks really great in both modes, and you can see the art of his torso. 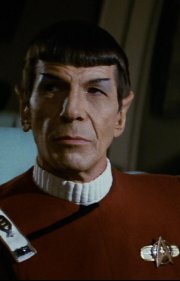 He really looks fantastic. Hook has his torso art covered up, but other than that, I have nothing but good things to say. 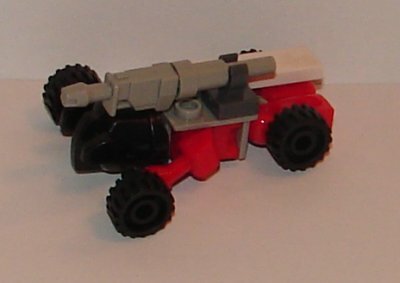 Admittedly, all the four-wheeled vehicles suffer from having the front wheels held in the robot hands, but that it is just a design limitation. 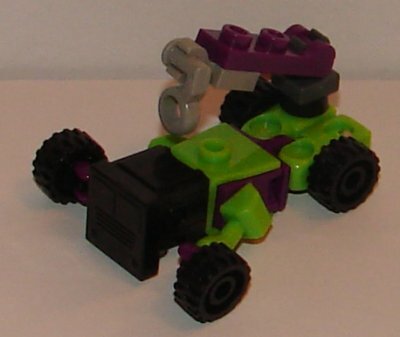 As you may have noticed, the above picture of Dirge in vehicle mode is from Hasbro’s official photos and has both incorrect molding and coloring. 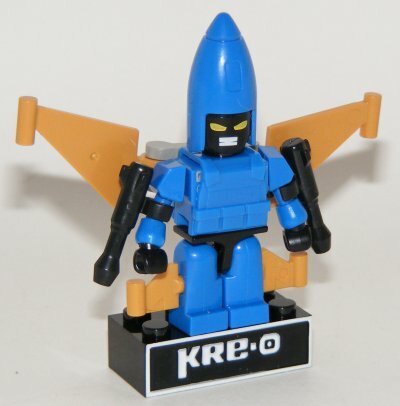 The robot mode picture I found on Google. I still have not found one of these even though I found one complete box, and several partial boxes. I’m beginning to wonder if he is short packed. 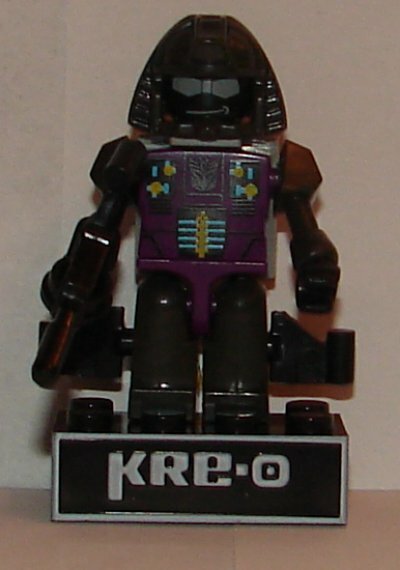 I really like his robot mode. 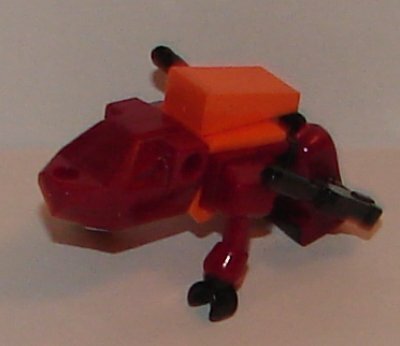 This is definitely one of the better Micro-Changers. 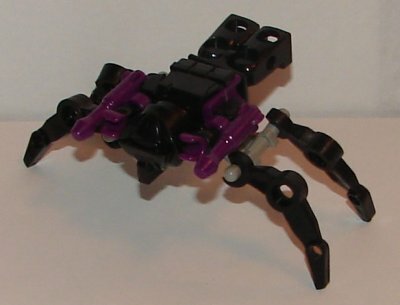 Airachnid is based on the Transformers Prime character. She looks pretty great in both modes. But again has her torso art is covered up. All they had to do is make the part clear. It’s really annoying. Nice otherwise. 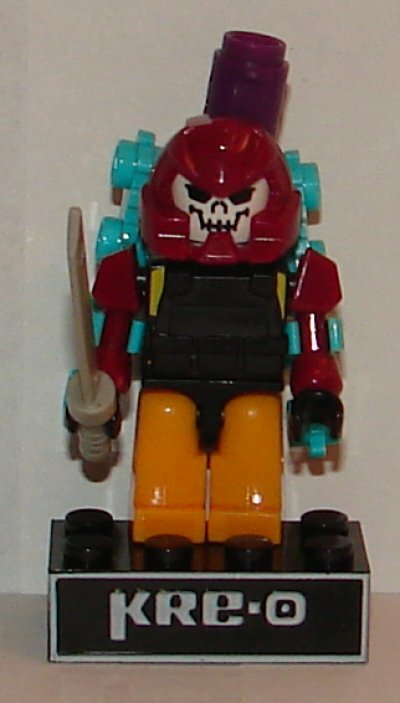 Like Warpath, Bludgeon has a great tank mode. The colors are perfect. It would have been nice if he had two swords, but that’s a minor thing. 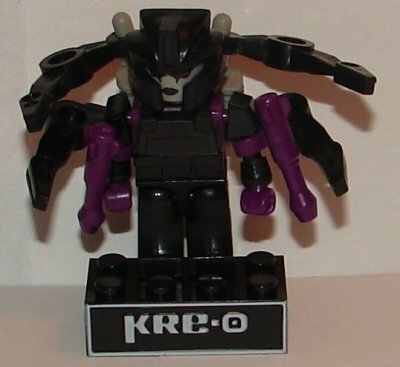 This entry was posted in Toy Reviews, Toys, Transformers and tagged Airachnid, Blast Off, Bludgeon, Dirge, Hook, Inferno, Insecticon, Kre-O, Kreon, Kreons, Micro-Changers, Micro-Changers Series One, Quickslinger, Rampage, Series One, Singe, Springer, Toys, Transformers, Warpath. Bookmark the permalink.